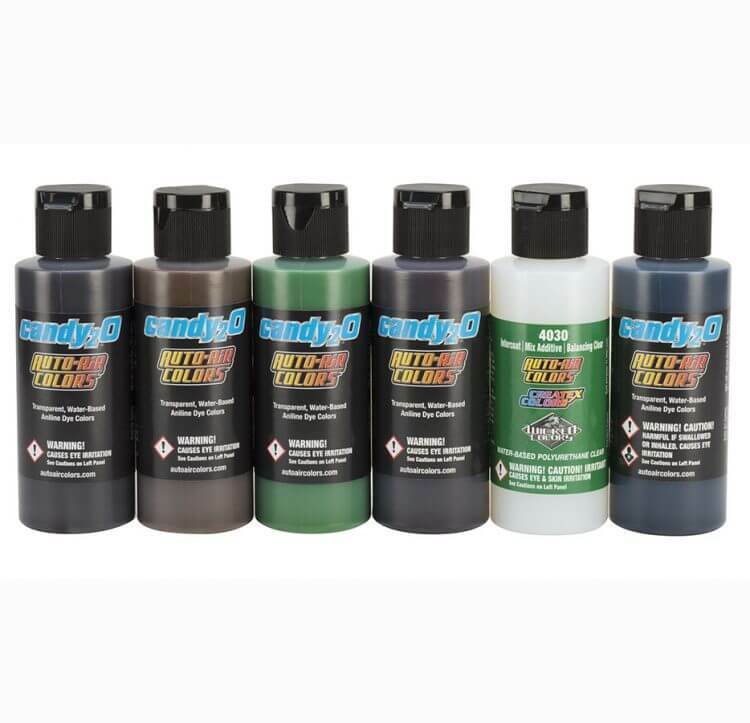 The starting foundation for any graphic, complete automotive or large-panel paintjob. AutoBorne Sealers have incredible adhesion to any substrate including plastic, dry fast & level, are shave well when dry sanded with 1000 grit or finer sandpaper. AutoBorne Sealers allow for quicker drying times. Not only do the sealers themselves dry quickly, subsequent coats of Auto Air Colors dry quicker as less material is required to cover when colors are color-keyed with AutoBorne Sealer. + Apply 4100 Series Aluminums and 4300 Series Silvers over 6013 Silver Sealer for an even orientation and metallic hiding. + Color-key AutoBorne Sealer with 4300 Series Pearlized and Metallic Colors. 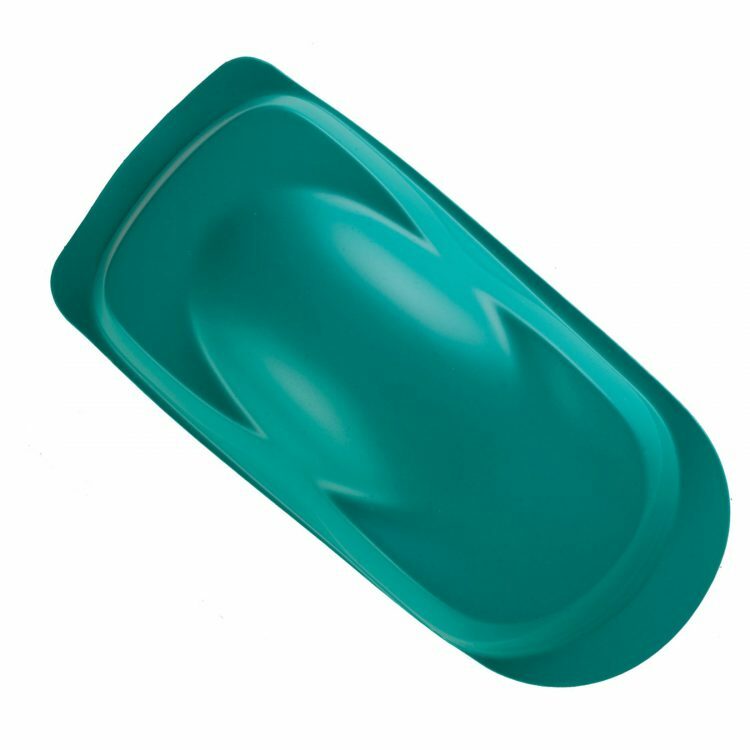 By reducing the amount of Pearlized Color required for coverage, a uniform, well-orientated pearlescent finish is created. Color-keying removes the need for multiple coats to achieve color saturation, often resulting in a lumpy appearance due to excessive build-up of the pearlescent powder or metallic. AutoBorne Sealers are universally compatible with any paint system and can be applied direct to other primer types such as DTM etch-primers used to treat bare metal before AutoBorne Sealer is applied. 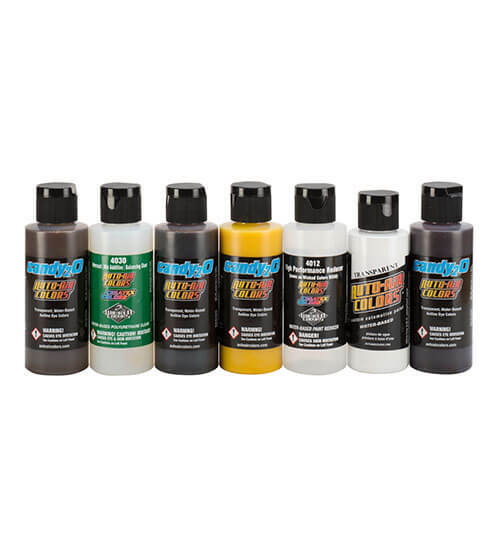 Apply direct to aluminum, wood, urethane and most plastics and basically any substrate. AutoBorne Sealers adhesion is truly tenacious. AutoBorne Sealers are a water-based epoxy which takes 48 hours to fully cure after application. Sealers may be taped on, sanded and Createx Colors products may be applied less than 30 minutes after application. Prior to applying solvent-based paint or clear direct to Sealers allow 48 hours cure time, sand or degrease prior to application. Sealers may be top-coated with solvent-based paint soon after application provided Sealers are wiped with degreaser or sanded. Applying Createx Colors paints direct to Sealers after application does not require sanding or degreasing. Reduce 10% per volume with 4012 High Performance Reducer. AutoBorne Sealer is best applied with a 1.2  1.4mm tip-sized spray gun around 25  30 psi. 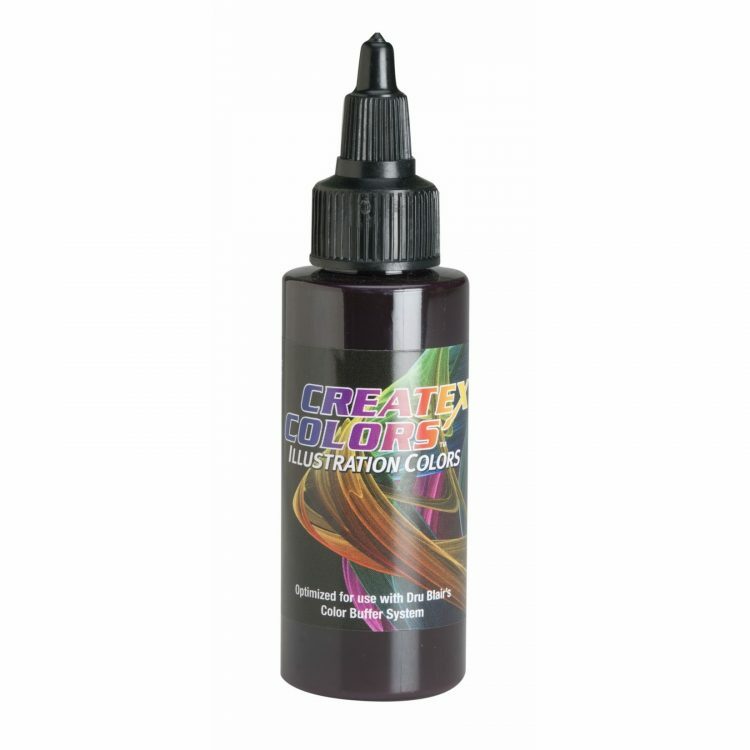 For use with smaller tip-sizes such as mini-guns and an airbrush, reduce accordingly to achieve proper flow and atomization.